Maestro Personal Assistants is one of the 50 fastest growing companies in North Texas for 3 years running. We are an innovative force in the marketing and personal service arenas. Maestro and its industry-centric divisions have won several awards and garnered a solid reputation for helping corporate giants in every industry provide a level of exceptional personal service rarely seen these days. Personal assistance is much more than a job. It's taking care of people's needs and making a positive difference in their lives. From providing a phone number to setting up travel arrangements or completing in-depth research on a project or business, our Personal Assistants provide exceptional service by phone and email to our corporate clients and their customers. Now we're looking for highly skilled individuals to join our assistance team. Maestro is a rapidly growing internet based company that works with both national and global corporations to enhance their brand image and increase customer perception above their competition. Our growing corporate client base includes leading Fortune 500 companies such as Nissan, Infiniti, Mitsubishi, Subaru and more. Maestro's unique marketing tools enable our clients to both retain existing customers and attract new business as well. Customers of our clients enjoy around-the-clock access to a professional team of live and highly trained personal assistants who represent their respective brands with a passionate attention to detail. We are seeking aspirational and talented Customer Service Professionals to join our diverse team of Personal Assistants. An ideal candidate for this position would be a detail-oriented individual who is adept in conducting internet searches and is driven by the desire to deliver world-class customer service. As a Personal Assistant, this team is tasked with making life easier for the customers of our clients. We assist with a wide range of functions booking travel plans, setting restaurant reservations, shopping by proxy, completing research requests, providing emergency assistance and much more. In addition to receiving extensive training and ongoing professional development, Maestro's competitive pay structure and benefits packages make this one rewarding team to be a part of. No prior call center experience is necessary, however, candidates must have excellent verbal and written communication skills. To qualify, applicants must be able to accurately type a minimum of 35wpm, navigate the internet with ease, and be motivated to exceed customer expectations with enthusiasm. All team members must be available to regularly work 5 days a week, including either a Saturday or Sunday shift. Our training and professional development program equips employees with the ability to achieve promotions and pay increases as soon as 90 days after training is completed. We aggressively promote from within and our lucrative bonus structure is based on merit rather than seniority. Our team members enjoy our casual dress code, collaborative culture of teamwork and fun work environment. 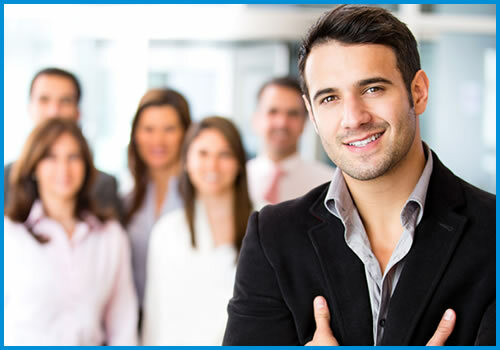 Maestro offers a competitive salary and quarterly performance-based bonuses. A successful 90-day probationary review earns an additional $1.00/hour. Additional earning capacities through bonuses and career path incentives vary from here. We also offer a benefits package, including health, dental, vision, life, flex spending accounts, 401k and paid-time off. Maestro is an Equal Opportunity Employer M/F/D/V.